Home / event / News / vivo / Vivo joins extraordinary My Time, My FIFA World Cup campaign in Russia. Vivo joins extraordinary My Time, My FIFA World Cup campaign in Russia. joinning the music performance of the Official Song to witness this memorable and extraordinary moment with all football fans. 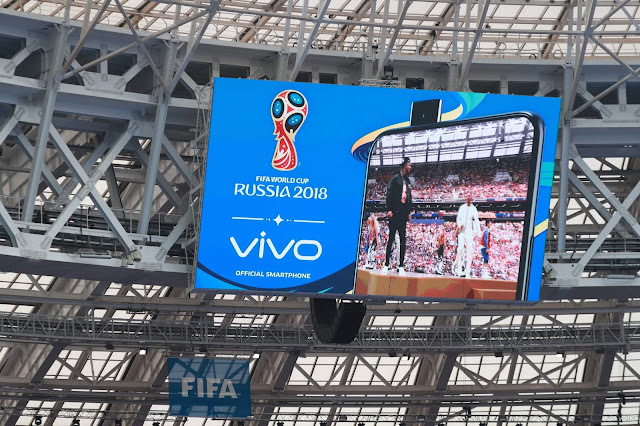 In celebration of the FIFA sponsorship, Vivo launched the FIFA World Cup 2018™ limited edition Vivo V9 Blue designed to capture the spirit of the FIFA World Cup. After the launched it followed up with the highly anticipated and groundbreaking Vivo NEX. The “next” era smartphone that allows consumers to experience the future and innovations beyond the imagination.